I was a bit hesitant when I first saw this copy of “I Can Fly,” which was illustrated by Small World designer Mary Blair. The thrift shop was asking $5, but I realized this was a first-edition copy from 1950 so I decided to go for it! W also found this cute cow creamer andÂ little pink duck (an old Disney knock-off). Another set of finds from today, Phillip found these vintage tiki mugs and the Polynesian girl bust in one of the Goodwill stores we stopped in. Here’s a few more finds from today: a vintage cash register toy (we think it’s pre-1940s), a cool “Madrid” glass, and a flamingo glass, which I think is probably Libbey, but I couldn’t find any info on. Now, on to some finds from the previous few weeks. I actually got these two canisters and mod salt and pepper shakers for free! Phillip bought me a mid-century hutch for our 2-year anniversary, (which I hope to share soon). When I went to pick it up, the lady we bought it from told me I could have anything else in the house I wanted (all stuff left over from an estate sale). I was shocked these were still left! I’ve been meaning to get a good picture of this funny sign that Phillip found a few weeks back. I think it would be perfect for a retro-style bar. I’ve been on something of a pin kick lately and so I couldn’t resist these cute little vintage cat and dog pins. I especially love the Basset Hound, which Phillip refers to as “Colunbo’s dog” (we’ve been watching a lot of Columbo lately). If you haven’t noticed, I really have a thing for speckled California pottery dishes, and I can never really leave them behind at the thrifts. One day I hope all of my random plates, bowls, and mugs will end up as something resembling a set! I also loved this cute little gravy boat. There’s no marking on the bottom. Has anyone seen this pattern before? I might have to keep this one for my own “Thanksgiving” dish collection. Even though Christmas is months and months away, we still make sure to keep an eye out for fun vintage Christmas stuff so we’ll be prepared come holiday time. We found this little elf, who is cool despite being extremely faded, and some vintage ornaments and a tree-topper. For whatever reason, we’ve been finding globes left and right these past few weeks, which is great because their popularity seems to be going strong and we continue to sell every one that we put in the antique space (some faster than others, of course). I found the first globe on the far left at the thrift store near my work, and it’s so pretty that I have to keep it! The middle globe is more modern but huge! The globe on the far right was a thrift find that was a little wonky when we got it and always tilted wrong, but Phillip managed to fix it and now it’s headed to the Depot! Well, that concludes this week’s Thrifty Thursday. 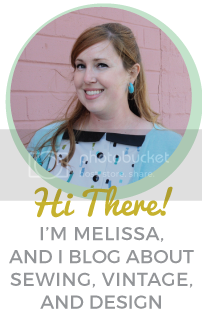 I’ll be linking up at A Living Space, Sir Thrift A Lot, and Joyful Treasure Hunting, so head on over and check out everyone’s treasures! By the way, does anyone have suggestions for some other fun thrifty link ups?